Every Thursday, my husband and I attend an exercise class with our trainer, Ella. Originally, my husband was meeting with Ella as a form of rehab after being hit by a car as a pedestrian. As a result of a head injury, he needed to work on his memory, balance and muscle strength. He enjoyed Ella’s class so much, I’ve been recruited to attend with him. Ella trained in Russia as a gymnast and is an artist. 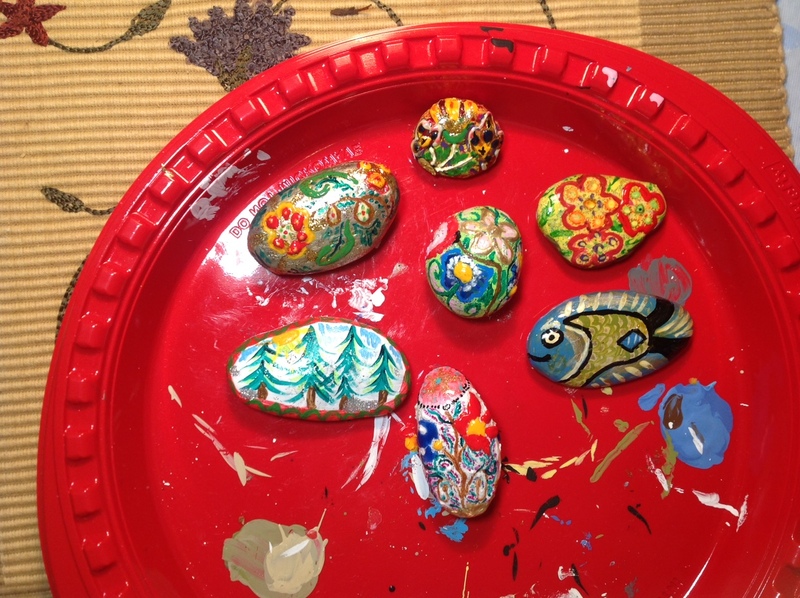 Ella uses geology as her canvas and each rock has its own character. 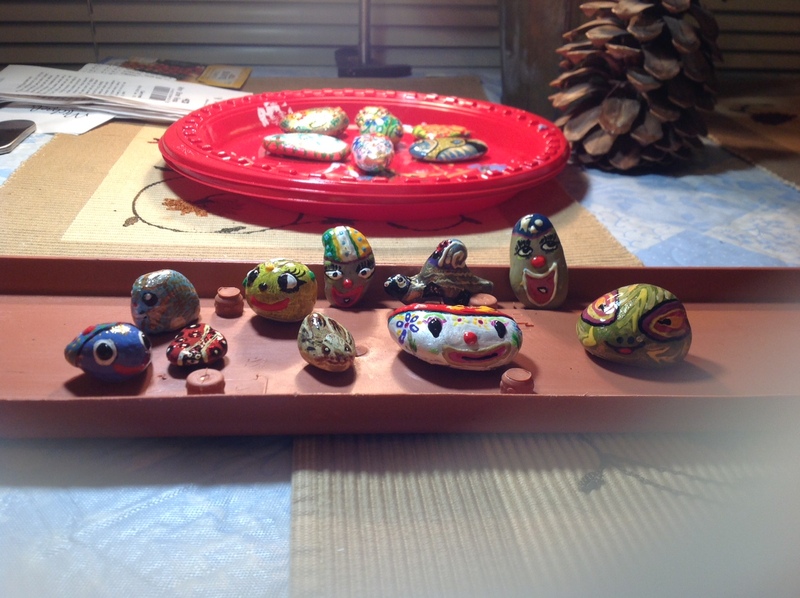 I can imagine a garden dotted with Ella’s magical geologic artwork, or a single rock perched for viewing on a desk. 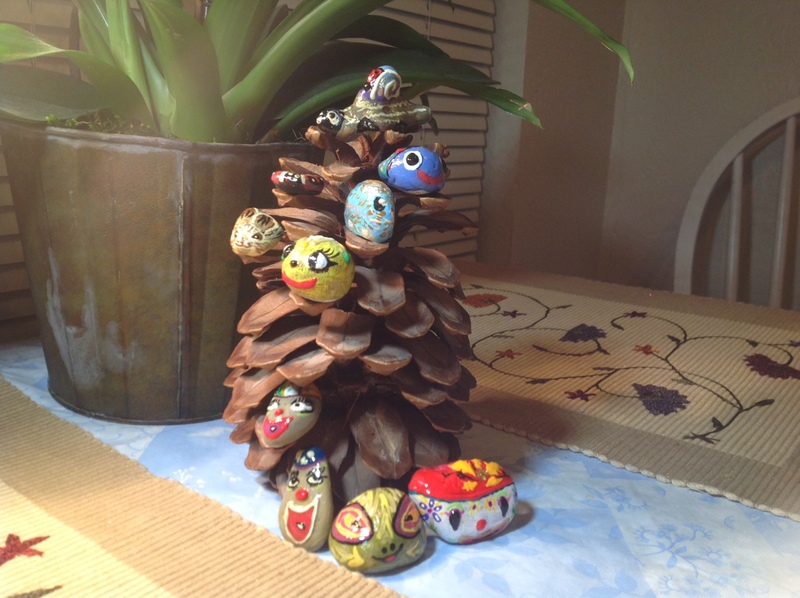 Ella’s work makes me smile, especially the pine cone tree. In a world of instant gratification, I respect the time and effort Ella spends with her art.